PVSITES project has also supported the development of advanced solar solution CIGS based, manufactured by Flisom in Switzerland. This technology is characterized by its lightness, flexibility and high efficiency reaching 20.4% on laboratory scale. 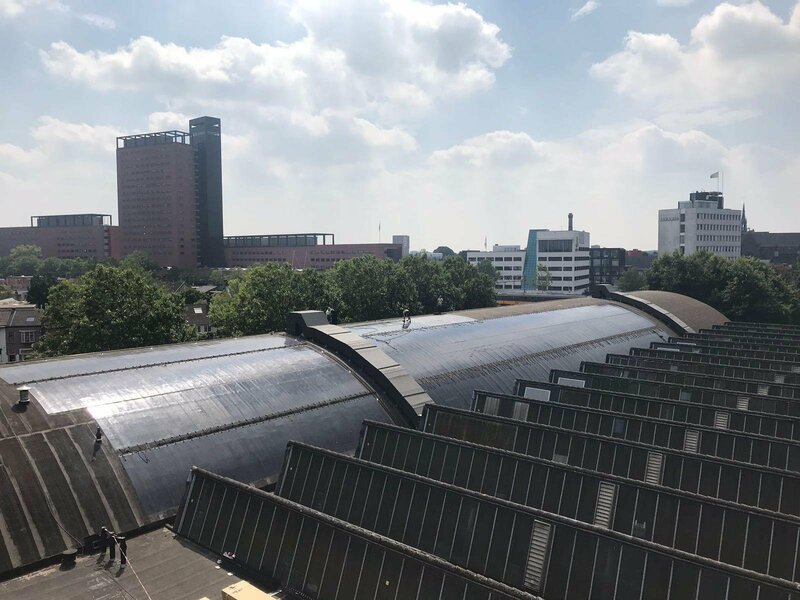 In this project, the roof of a historical building in the Netherlands was replaced by thin film PV modules, 3.1 meters long. Besides the energy generated by 180kW installed, the added value of this project has been given by the curved surface of the flexible modules which provides a nice aesthetical result to the building.